You’ve chosen the wedding gown, you’ve found the perfect pair of shoes to go with the gown and now you are ready to make a decision about what to wear in your hair. The range of bridal hair accessories can be overwhelming. The following tips are designed to make choosing the perfect bridal hair accessories that much easier. The wedding gown – This is the most important aspect of the entire bridal ensemble so it is important that whatever hair accessories you choose compliment your dress. A wedding gown in a simple design allows you to ramp things up a little when it comes to hair accessories. A wedding gown that is heavily embellished with beads and lace may call for simple but elegant hair accessories. The hair accessories you ultimately choose should add to your overall look but not take away from the most important aspect; the gown. Color – The two most common colors are gold and silver. Which you decide on will largely depend on whether you plan to wear gold jewelry or silver jewelry. If not planning to wear any jewelry at all the choice is open, unless you have silver or gold accents in your dress and / or shoes. Try to match to whatever else you are wearing for the best effect. Theme – If you are planning a traditional wedding you want to keep your hair accessories following the traditional theme. For a beach wedding, however, you can choose something a little less classic. Outdoor weddings favor simplicity to avoid any issues should the weather change and you have to contend with a breeze. Try to bear the theme of your wedding in mind when selecting the perfect bridal hair accessories. Hair style – As well as insuring your hair accessories match the style and theme of your wedding gown you also need to take into account your hair style. Clearly some hair styles suit particular hair accessories more than others. 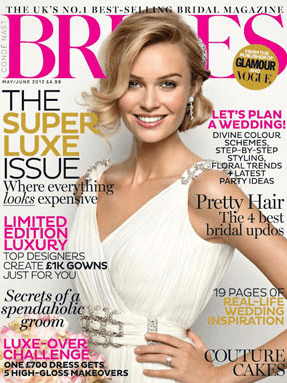 Brides with long hair may choose to wear more than one hair accessory, while those with short hair may choose to wear a tiara or headband and nothing else. Bear in mind what hair style you will be wearing on the day, and if you have long hair, whether you will be wearing it up or down. Choices – There are almost as many styles of hair accessories as there are styles of wedding gowns, so don’t be surprised if you feel a bit overwhelmed when you try to narrow down your choices. 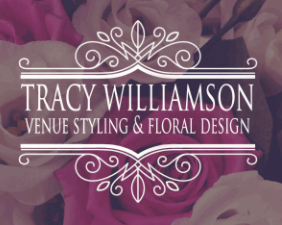 There are combs, clips, tiaras, headbands, pins, flowers and vines to choose from. Veil or no veil – If you want to wear a veil on your wedding day the most popular choices of hair accessories are tiaras and headbands. A plain veil can become spectacular when attached to a stunning tiara or headband. You can always choose to remove the veil after the ceremony so that is doesn’t get in the way when greeting guests and dancing at the reception. Tiara or headband – This is entirely a personal choice. Both are elegant and will compliment almost any wedding gown. They both work well with any hairstyle too, whether you have short or long hair. You can choose a dainty tiara or headband for a more traditional style or if you really want to make a state go for a tiara with some bling. Accompanying jewelry – A wonderful hair style should be matched with a beautiful necklace or year rings – both are some of a woman’s favorite items. It’s a good idea for the groom to buy her those and our suggestion is to get the best gifts for any woman and more right now! Flowers – With such a strong trend towards all-natural looks flowers are coming back into fashion as hair accessories. A single large flower on one side can make a dramatic statement without taking away from the dress. A headband of small, dainty flowers will provide a more traditional look. For brides with long hair you can have flowers strategically places throughout your up-do for a romantic look. 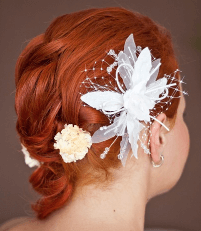 Hair combs and clips – One of the primary reasons these are by far the most popular choice of hair accessories among brides is their versatility. They are easily attached, can be placed pretty much anywhere in the hair and suit almost every hair style. Brides with a swept up hair style may like to add a hair comb or clip to the center back of the head, while others may opt for it on the side. The choices are almost limitless. Try on as many styles as you can until you find the perfect bridal hair accessories for you.